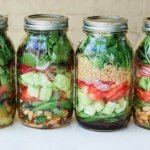 We have previously many times have discussed about 14 Gorgeous DIY Mason Jar Gift’s and how you can make them look great with a little effort. 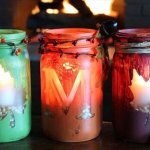 You can not only do Mason jar projects for your own home but also for the gifting purposes. 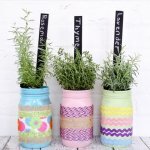 Here you will get some more great and exciting ideas about DIY Mason jar gifts and how you can easily do it all yourself in order to make them look extra ordinarily different and adorable. The first project that we have here is called an angel jar as it has been decorated in a way that it has been given two beautiful wings on the right and left side. It’s up to you what you want to our inside this angel jar, but here they have put some candies. Next we have is a drop gift jar which has been amazingly decorated in a very unique manner as you can see over here. Have a look at this lucky charm marshmallow jar which has been filled with some exciting, colorful and funny marshmallows for the ones who would love them as a gift. 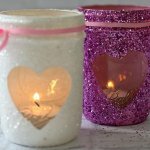 You can also make such jars for special occasions such as mother’s day and many more. As you can see over here that a mason jar has been filled with some classy candies and has been tagged with a note that says happy mother’s day. Surprise your mother with this amazingly unique mother’s day gift. The next you see here is Saint Patrick’s Day Mason jar gift. Besides this we also have peppermint candles done with the ordinary mason jars which will surely increases the warmth of your house. The next project we have is reindeer Mason jar which will definitely take your Christmas celebration to a whole new level filled with excitement and creativity. Make some of these for the upcoming thanksgiving also using different ideas like you can see over here. Have you ever wondered how you can organize your pedicure stuff in form of a Mason jar kit? Here you can see and do this easiest thing by your own self. 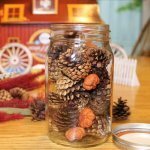 We often are short of ideas when it comes to giving gifts to someone as a winter love token, here you can see some more DIY Mason jar ideas which is probably perfect as a winter gift for someone so try this out before the winter starts. Next we have a Mason jar terrarium which is a completely unique and different idea but you can easily follow on this project by clicking on the link below and watching the tutorial from there. Amaze yourself and others around you by making this absolutely gorgeous and classic Mason jar lantern by following some simple creative steps in order to make this extra ordinary master piece. We also have previously discussed this idea that we can also put in mason jars some dry ingredients like for cookies etc. and gift it to someone for the festivities. Similarly we have shared an idea over here which says that you can put n a mason jar some red velvet cake mixture which is in red and white color and looks amazing when it’s placed creatively inside the jar. Besides this we have some other exciting ideas also regarding the mason jars that you can find in the detailed article and also in the tutorials.